For the second time in a week, there were scenes of ugly violence at a British racecourse. For the second consecutive Saturday, there was a mass brawl at a race meeting across the water. 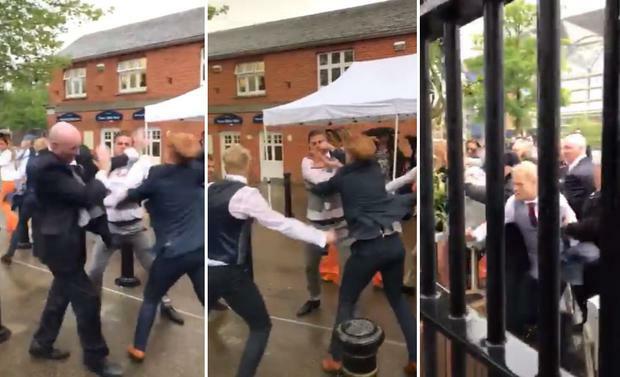 Three people were hospitalised after a 50-person brawl at Goodwood on April 5 and there were similar scenes of violence last Saturday as fighting broke out on Saturday. Two people suffered head injuries and were treated at th track. The previous weekend’s fight at Goodwood has yet to result in arrests, despite online footage of an unconscious man being kicked in the head. Michael Verney Opportunity knocks for Aidan Howard at Fairyhouse tomorrow as the Kildare trainer eyes his first Grade One success with Winter Escape in the Ryanair Gold Cup Novice Chase (4.25).